At Emergency Dentists USA we provide a detailed, comprehensive listing of all emergency dentists and walk-in clinics in Providence. This allows you to have options when it comes to getting the treatment you need when any situation strikes. Emergency dentists are qualified to provide immediate treatment and even conduct emergency procedures to ensure you are back on the road to recovery in no time at all. I am not online much, but I had to figure out something when I had a severe toothache and luckily this site was the first that came up on google! I am so glad I found Emergency Dentists USA, it was so helpful I found local dentists and didn’t even have to do much searching of my own. When you experience a dental emergency after typical business hours, after hour dental clinics are a great source of getting the treatment you need. They offer similar services to those at your typical dentist office, but the difference is that they extend their operating hours well beyond normal hours. This allows for greater flexibility if you are experiencing an emergency or find yourself in need of a later appointment due to your work schedule. The Gentle Dentist – Richard A Barkin, DDS is a great choice for an after-hours emergency dental clinic as they are open extended hours all week. He even offers Saturday dentist hours for those who aren’t able to get in during the week! If you find that you or a family member are in need of emergency dental services well past the typical business hours, it’s a breath of fresh air to know that there are qualified professionals available to provide you with treatment in a quick and efficient manner. Just look at our comprehensive emergency dental listings below or give our 100% free referral service a call and let our experienced staff find the right dentist for you. Description: Call to be connected with the perfect dentist for you. Providence is a large city and we have the connections to find a dentist to fit your needs, and can get you an appointment immediately. 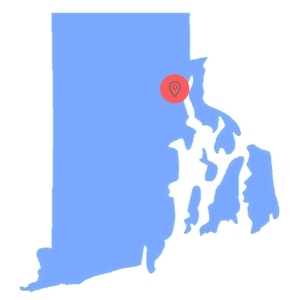 Easily find Rhode Island emergency dentists with our service. Description Providing dental care to the Providence area since 1985, this staff of highly trained professionals is a fine provider of emergency dental services in Rhode Island. Dr. Barkin and his efficient staff understand and respect your busy schedule; therefore, you can count on him and his team to promptly address and treat your dental concerns -large or small – within a personalized and friendly environment. Description: Every service from root canals, same day emergency services, veneers, and crowns are performed with skill and care here in this superb clinic. They believe in the concept of providing their superior dental and esthetic care without compromising our patients’ financial situation. Description: This Providence area dental care provider is proudly open on Saturdays to better serve their patients in this fast-paced world. They provide superior emergency dental care for the Ocean State, and many who are visiting the area in the summer have sat in his chairs for comprehensive and caring appointments. Description: When it comes to personalized care, the Angell Street Dental Associates are top notch. They provide you with individualized treatments because everyone’s dental situations are unique. In order to help you feel more confident in the treatment options available to you, the staff takes more time in helping to explain each condition and the treatments. No one expects an emergency to happen, but if it does, it’s always beneficial to be prepared in the event that one strikes. Because this emergency dentist is probably not the one you see normally, it’s important to bring with you any vital medical or dental records. This will help them to review your specific medical conditions so that they understand more about you. Additionally, you will want to make sure you alert the front staff of any allergies to medications you may have. Don’t forget to tell the staff if you also have any anxiety when it comes to going to the dentist as they can give you sedation options if necessary. If you have a scheduled appointment, try to arrive at least 15 minutes prior to ensure there is enough time for you to fill out the new patient paperwork. Take all necessary insurance cards and information with you. Be prepared if the dentist doesn’t take your form of insurance by knowing ahead of time how you plan on paying for any procedure and treatments you may receive. Listed below are just an example of types of dental emergencies that could require you to visit one of our emergency dentists. Read through their descriptions, and it could give you an idea of what might be currently happening with your teeth. This is important because when you call the office, you can give them all of the details. Toothaches are typically one type of dental emergency that people oftentimes overlook. The problem with this is that a toothache can be an underlying cause of a more severe problem and should be checked out immediately by a Providence emergency dentist. After you’ve contacted an emergency dentist, you can do a few things to help comfort you until you make it to your appointment. First, you will want to rinse out your mouth with a salt water solution. This can be made easily at home by using 8 oz. of water and a few teaspoons of table salt. Rinse everything thoroughly to help remove any bacteria or leftover food particles from your mouth. 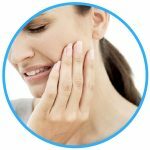 Putting a warm or cold compress on the outside of the affected region can help to alleviate some pain and swelling associated with a toothache. 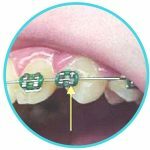 Broken or loose braces and wires can be quite the pain, literally. Usually, you don’t realize they are broken until they start to poke into your cheek or gums causing quite severe pain. When this occurs, it’s time to contact an emergency dentist in Providence immediately. Until you are able to make it to your appointment, you can place a dental cement over the broken or loose wire on your braces to help keep it from causing you even more pain or irritation. Dental cement is typically given to you when you first get your braces on from your orthodontist but don’t worry if you don’t have any on hand. You can purchase them from a pharmacy and they are rather affordable. 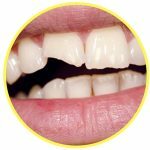 A chipped or broken tooth is one dental emergency that surprises many people because it usually does not exhibit much pain. When the tooth is broken to the point that it is cracked into the nerve or root of the tooth is when you will begin to notice the severe pain. So if you notice you have a chipped or broken tooth without pain, you still have time to get in to see a Providence emergency dentist and get your tooth or teeth fixed. A dentist will typically do everything in their power to save your tooth before they make the decision to pull it, but there still comes a time that they may recommend that you should have a tooth extraction. This happens for a few common reasons such as a wisdom tooth going off of the normal growth pattern and becoming impacted into the gums, causing severe pain and swelling in the mouth. Additionally, if the tooth has become so severely damaged that it is unable to be repaired by a root canal procedure or other methods, your dentist may also recommend a tooth extraction. When this happens it’s important to not hesitate and wait around before getting the procedure done. This can only lead to further damage and issues with other teeth in your mouth. If you find that you are unable to get ahold of your dentist during the weekend or other emergency hour and need to have the tooth extraction completed immediately, an emergency tooth extraction may be necessary. The dentist will help to ensure you are comfortable during the procedure by either putting you under using anesthesia or a local numbing cream. You can expect the extraction to heal initially within a few weeks but the full healing and restructuring of the bone can take up to six months. During this time you may use an over-the-counter pain reliever for pain and apply cold compresses to help minimize the swelling on the outside of the affected region. When you first experience a dental emergency, it can be very overwhelming to say the least. Most people do not realize that there are Providence emergency dentists available to help treat a large variety of dental emergencies and because of this they typically run straight to the emergency room. Before you rush out the door to your local hospital, you should consider the type of dental emergency you are experiencing. Depending on your condition, you may be better off being treated at one of the many available emergency dentists. If you are unsure of where to go, simply give our referral service call to connect you with an emergency dentist who can answer your question. Most often an emergency dentist is your best option for getting the right treatment and medications for your dental emergency. If you suffer from a chronic health condition, it may be best for you to go to the emergency room in order to get the best possible treatment for all conditions. Finding a qualified professional when you are experiencing an emergency is always a priority. By using our referral service and getting connected with a Providence emergency dentist you will save both time and money.